What might the medium of exchange of a free and independent Vermont look like? 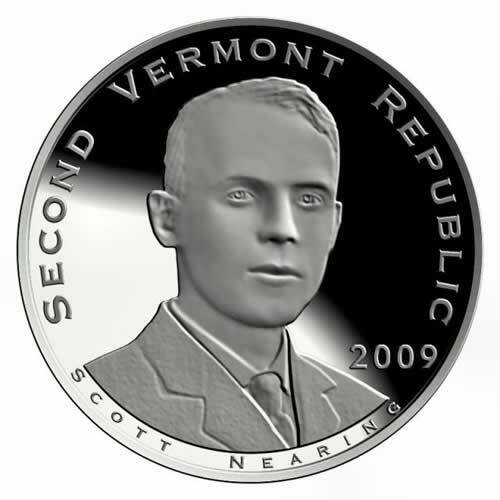 Just like the recently minted Second Vermont Republic’s Scott Nearing 50 Clover Silver Token. Who in the world was Scott Nearing? Scott and Helen Nearing were political activists who lived in Jamaica, Vermont between 1932 and 1952 and embraced a political philosophy based on simple living, self-sufficiency, sustainable agriculture, cooperation, mutual aid, and radical anti-imperialism. Ironically, the two people most responsible for the change in Vermont’s political character during the last two decades of the twentieth century, Scott and Helen Nearing, had not lived in the state since 1952. Their 1954 book Living the Good Life became the Bible for the hundred thousand or so people who moved to Vermont between 1967 and 1973 searching for the good life. As a result of this mass in-migration, Vermont was transformed from the most Republican state in America to the most left-wing state. As for the Nearing token itself, it contains one ounce of .999 fine silver and has a mirror-like proof finish. 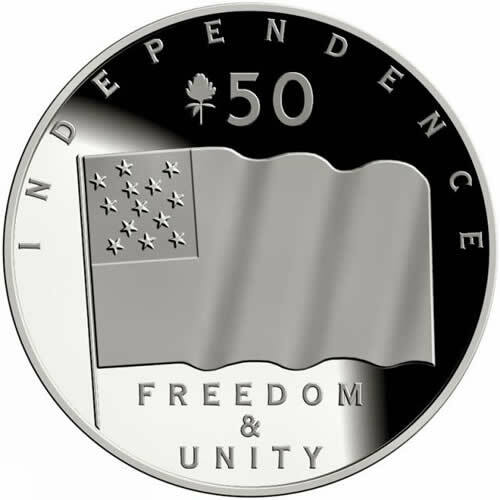 It is the first in a series of collectable SVR silver tokens. Future tokens may include the images of Ethan Allen, Fanny Allen, Helen Nearing, and Alexander Twilight. Collect them, barter them, use them, and enjoy them as you see fit. Why clovers, the state flower, instead of dollars, pounds, or euros? As Voltaire once said, “Paper money eventually returns to its intrinsic value – zero.” With the Federal Reserve Bank printing fiat money as though it were going out of style, the value of such money can only spiral downward. mike, it’s the same guy from the oagiinrl posts I made just under a different name. And sadly, those are cut and paste comments.